The date marks the first day of the annual National Park Week celebrated every April. 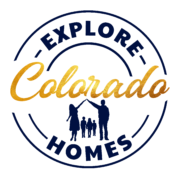 Want to take a Scenic Trip and Enjoy Exploring Colorado!?! 🤗 Here is a list for You! Colorado is home to 26 scenic and historic byways, which take you from the eastern plains up through the Rocky Mountains, including Mt. Evans Scenic Byway, Trail Ridge Road and other scenic drives near Denver.